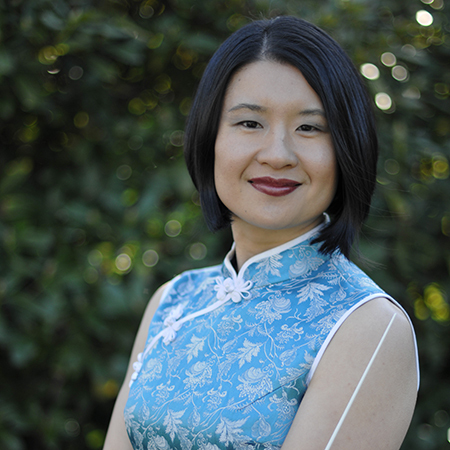 Dr. Gloria Wong is an ethnomusicologist specializing in Chinese music. She is conductor and arranger for the British Columbia Youth Chinese Orchestra. She completed her Ph.D. in Ethnomusicology (2010) at the University of British Columbia under the mentor ship of Professor Michael Tenzer and Alan Thrasher. Dr. Wong was a Cordula and Gunter Paetzold Fellow as well as a grant recipient of the Canada Social Sciences and Humanities Research Council. Her doctoral research examined the extemporization of melody and text in Hani dialogue songs of Southwest China. Her publications include Yueqi: Chinese Musical Instruments in Performance (BCCMA 2011), co-authored with UBC Professor Emeritus, Alan Thrasher. She also contributed to several Chinese instrument entries in Grove Dictionary of Musical Instruments (Oxford 2014). Dr. Wong is an active member of the Association for Chinese Music Research. Her most recent scholarly work examines Cantonese opera clubs in Vancouver and Canadian contemporary compositions for Chinese instruments. Dr. Wong is also a passionate music educator of traditional Chinese music. She plays the zheng (zither) and pipa (plucked lute). She was a member and teacher of the UBC Chinese Music Ensemble for over ten years. Her current group, the British Columbia Youth Chinese Orchestra, was the recipient of a BC Arts Council grant in 2014 for the commissioning and arranging of ten new works for Chinese orchestra and choir. Dr. Wong is a committed Chinese music pedagogue and is constantly seeking new ways to engage young people in the understanding of Chinese music aesthetics, theory and performance practice. She works with the confidence that Chinese traditional music has a lot to offer young people from all cultural backgrounds and that its appreciation will help to strengthen the bonds of our multicultural society.